City Sightseeing’s free, guided walking tours allow locals and tourists to explore the city of Cape Town on foot. There are two walking tours to choose from – the Historic City Walk or the Vibrant Bo-Kaap Walk. Sometimes the best way to explore a city is on foot, and the 90-minute guided walks are designed to achieve just this. The tours, which are facilitated by knowledgeable and experienced City Sightseeing guides, are perfect for those interested in getting to know the streets of Cape Town and some of the historical landmarks in the Mother City. If you are keen to try this guided walk through the city centre, then head to City Sightseeing’s ticket office at 81 Long Street (stop 5). 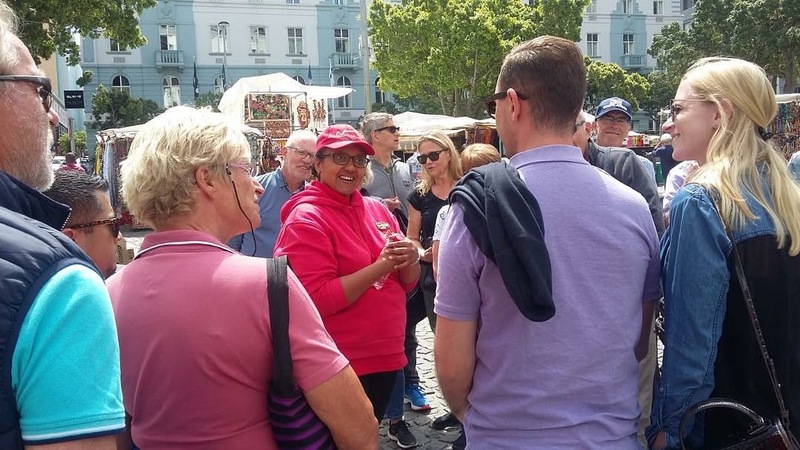 Here you will sign up for this free walking tour before embarking on your journey to discover Cape Town’s city centre with one of our experienced guides. Greenmarket Square is a short walk from the City Sightseeing office. This historic landmark is the second oldest public space in Cape Town, after the Grand Parade. Greenmarket Square was established in 1696, and was used as a central point for ships that had been at sea for months to trade goods and stock up on fresh produce. The fresh produce sold to these seafarers was harvested from the nearby Company’s Garden. These days, Greenmarket Square is always full and buzzing, and there are numerous restaurants and coffee shops around it. During your visit to the cobbled market, you will find curios, sculptures, jewellery, clothing and nick-nacks designed and sold by entrepreneurial traders from various African countries. The stalls at the market are close to each other, which makes it convenient to buy mementos and gifts without walking long distances. The Company’s Garden is the oldest garden in South Africa. It dates back to 1652 and was founded by crew members of the Dutch East India Company. After running short of the food and supplies they had managed to save from a wrecked ship that ran ashore, the Dutch crew members set out on land in search of fresh water. They discovered a stream of water and here they planted vegetable seeds. 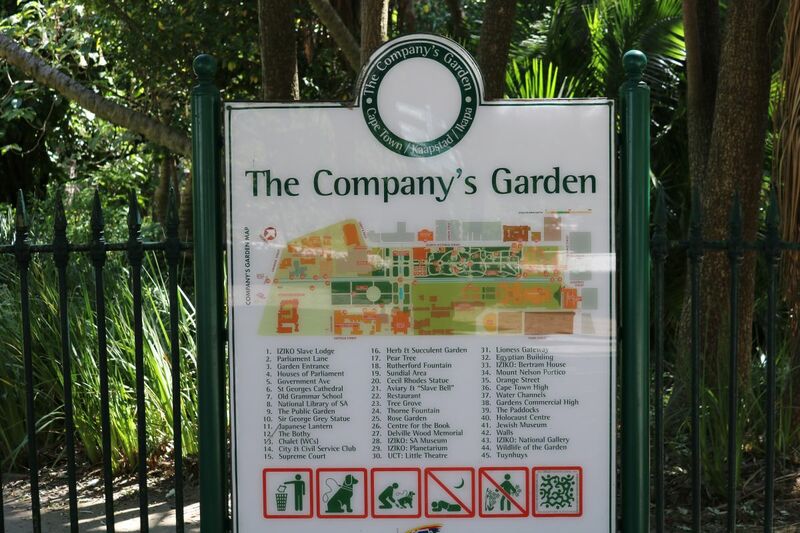 This area became what is known as the Company’s Garden today, which was a convenient stop for ships travelling from Europe to the East to stock up on supplies and fresh water. While lush green grass adorns the garden, ornamental plants decorate the space, including oak and pine trees that have existed in the Company's Garden from its early years. There are vegetables grown in the garden to this day, such as green peppers and tomatoes. Another interesting feature, just outside the entrance to the Company’s Garden, is St George's Cathedral, also known as the People’s Cathedral. It is the oldest cathedral in South Africa and welcomed all races during the apartheid years, hence its nickname. The Cape Town City Hall in the heart of the CBD is a large Edwardian building that was built in 1905. The balcony of the City Hall is famous as the place from which Nelson Mandela addressed thousands of people in the Grand Parade upon his release from Victor Verster Prison in 1990. Today the City Hall is still utilized for various gatherings and as a key hosting venue for meetings, media briefings and concerts inside its auditorium. The Slave Lodge is among the oldest buildings in South Africa – it was built in 1679 by the Dutch East India Company for slave-trade purposes. Over the years of its existence, the building has seen a variety of uses: it has been used as government offices; as the Cape Supreme Court; for the Women’s Auxiliary Services of the South African Defence Force; and as South Africa’s Cultural History Museum. In 1998 the building was renamed “Slave Lodge” and now features exhibitions exploring the tragic history of slavery in South Africa. Today, across the street from the building in Church Square, there is a monument with names of some of the 9 000 slaves, convicts and the mentally ill who are believed to have been housed in the building between 1679 and 1811. Here you will learn about how slave-trade systems were operated and monitored, how slaves from different countries were given their last names, and how their marriages were conducted, among other facts. The Castle of Good Hope is described as “the oldest building in South Africa”. It was built between 1666 and 1679 using materials that included granite from Signal Hill and blue slate shipped from Robben Island. Many people worked on the construction of the castle, including slaves, prisoners and soldiers. Housed within the castle were a church, a bakery and prison cells. Everyday at 10am, visitors to the castle get to see first-hand the firing of a cannon – which was used to warn the city of a possible attack once a ship was sighted at sea. There is also a gift shop where you can buy mementos and gifts to take back home. The South African Jewish Museum offers one of the Mother City’s great heritage experiences. The museum takes visitors on a detailed historical and cultural tour of Judaism. The museum profiles historic, contemporary and religious events of the Jewish community, and delves into the role judaism has played and continues to play in shaping South Africa’s political and cultural landscapes. There are interactive and audiovisual displays. Visitors to the museum will also get an opportunity to learn more about Japanese culture through netsuke art (miniature sculptures that developed in Japan over a period of more than 300 years). Also included in a tour of the museum is a daily screening of the documentary film, Nelson Mandela: A Righteous Man. The District Six Museum, located in the city centre, was established in December 1994 after South Africa became a free and democratic country. It is named after District Six, Cape Town’s sixth Municipal District that was established in 1867. District Six was a vibrant mixed community where men, women and children of different races stayed together. It was an epicentre of cultural diversity until the implementation of the 1950 Group Areas Act (which assigned racial groups to different residential and business sections) by the then ruling National Party. 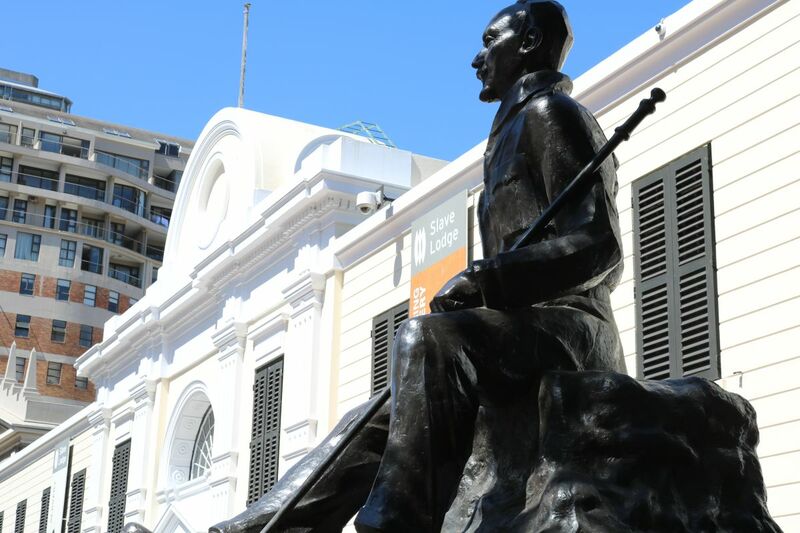 Visitors to the museum will learn about the tragic historical events surrounding District Six and the removal of black, coloured and Indian people who lived in the area before it was declared a “whites only” zone in 1966. The tour inside the museum features a long line of historic images of District Six. Visitors can choose a self-guided tour or go on a tour guided with a former District Six resident. Here, through a symbolic lens, you will get an opportunity to learn about and understand similar experiences of other communities in South Africa who were affected by the Group Areas Act, including Sophiatown in Johannesburg, Marabastad in Pretoria and South End in Port Elizabeth. The second free guided walk offered by City Sightseeing is the Vibrant Bo-Kaap Walk, which allows tourists and visitors to experience the distinctive Bo-Kaap area of Cape Town, nestled at the foot of Signal Hill. 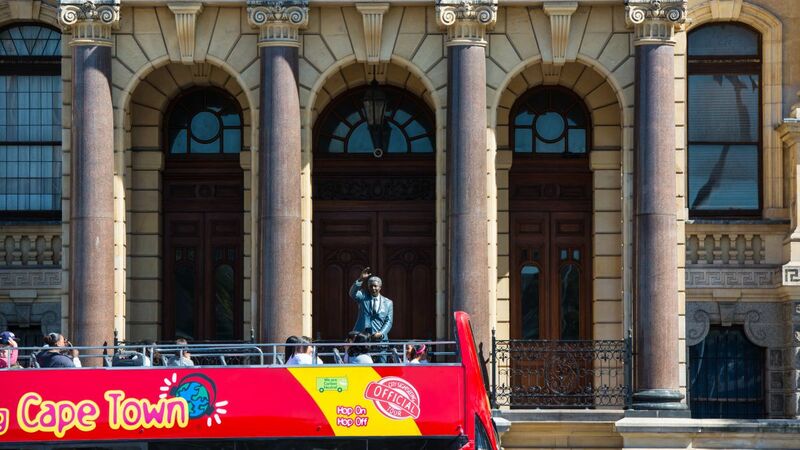 This tour departs from the City Sightseeing ticket office at 81 Long Street with a trained guide. On this tour you will discover the history of the Bo-Kaap, which dates back to the 1760s. The area was previously known as the Malay Quarter and had huurhuisjes, which were houses in the area rented to slaves who were brought to work in Cape Town from Malaysia, Indonesia and Africa. The area has a distinctive architecture that includes Cape Dutch and Georgian buildings in multi-coloured rows. These houses were originally painted white, but once slavery was abolished, the slaves who previously rented the properties were granted permission to buy them, and many painted the houses in bright colours to mark this freedom. A prominent feature of this walking tour is the Auwal Masjid, South Africa’s first and oldest mosque, built in 1794. The streets of the Bo-Kaap are a great place to try Cape Malay food – an aromatic cuisine that is a reflection of the area’s past, combining Malaysian, Indonesian and East African influences. All tours depart from (stop 5) at 81 Long Street at the following times: 10.30am, 1.30pm, 3pm and 4pm. Click here to view the timetable.